Martin commenced his financial services career with Sun Alliance in his (then) home town of Watford. 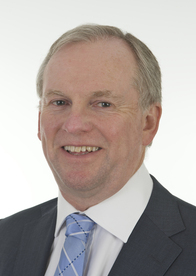 More recently he worked with HSBC bank where after starting as an adviser to the business population he became the senior supervisor of the banks Independent Financial Advice arm supervising 26 senior managers who in turn supervised c.250 advisers. While at HSBC Martin also ran the Financial Services Internal training team at one stage and was responsible for a high number of marketing Events across the Country. Martin believes the best Financial Advisers have a ‘real’ relationship with their customers, understanding all aspects of their circumstances and requirements so they gave give the correct advice at any stage in the relationship. Having joined Vision in 2013 as an Area Director he was delighted to accept the role of Regional Director in January 2016, taking responsibility for the Area Directors and advisers in the South. Outside work Martin is a Director of WetWheels CIC Ltd, a project set up by Geoff Holt OBE to give disabled children the chance to go to sea in a specially adapted Power Boat . He also founded a local Community Responder scheme in his village where volunteers attend medical emergencies in advance of the ambulance getting there, due to the village being some way from a main town. To date they have attended over 400 emergencies.